Our hotel offers amazing amenities so you and your family can get the most out of your beach vacation. 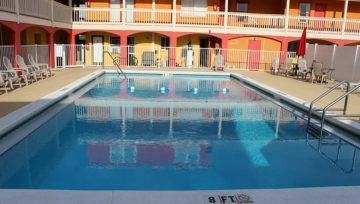 We have an outdoor pool you can relax in after a day of fun at the beach. Our family rooms also feature kitchenettes so you can cook meals during your stay. If you want to save money on going out to eat, then cooking a meal at the hotel would be a great option. Your room will also come with a flat screen TV with HBO, so you can catch up on your shows after hanging at the beach. All of these hotel amenities are included with your stay so you can relax and enjoy your beach getaway. Nothing compares to hanging out at the beach, walking on the smooth sand, and seeing those gorgeous ocean views. Our guests love how easily they can get to the beach from our location. 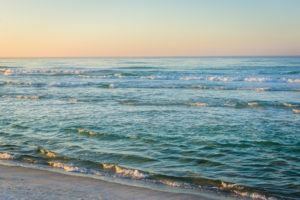 You’ll be just steps away from enjoying some Panama City Beach waves. Save money on time and transportation by choosing our Panama City hotel close to the beach. Your family will love spending time near the ocean. When you are planning a beach vacation you’re going to want to save as much money as possible. We know our guests love getting great deals. That’s why we offer affordable family rooms and accommodations. Don’t worry about spending your vacation budget on a place to stay. When you book with us, you’ll always get the best deal! Our family rooms are spacious so each family member can enjoy some relaxation. Our rooms can sleep up to 6 guests. You’ll get to enjoy a living area, dining area, and a kitchenette. The kids will love being able to hang out in the living area. You can also bring along some board games to entertain everyone. It’ll be a great place to come back to after a fun day at the beach. 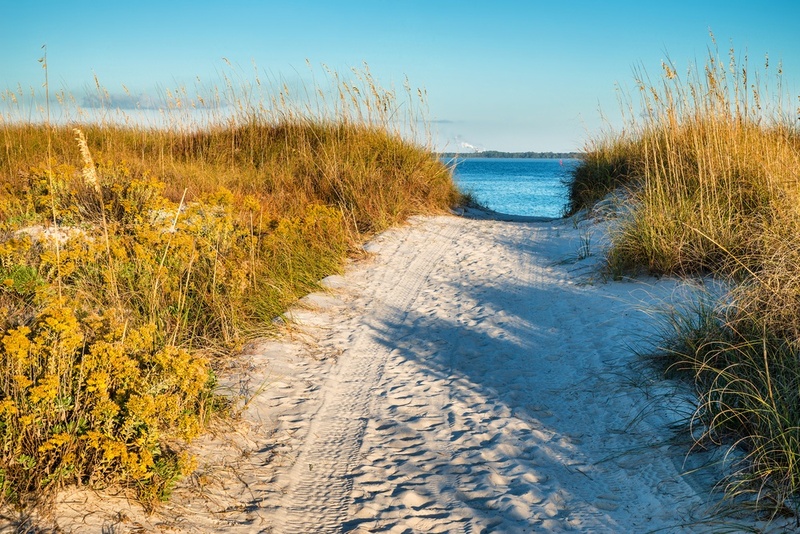 We are centrally located steps away from the beach and only minutes away from the beautiful St. Andrews State Park. Your family will love getting explore Panama City. It’s a gorgeous town that has a little something for everyone. Everyone needs to enjoy a trip to the beach at least once in their life. It’ll be a memorable trip for the whole family. Are you ready to book your stay at our Panama City hotel close to the beach? 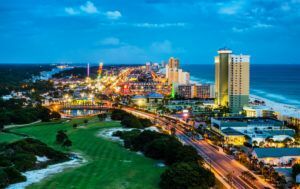 Browse our affordable Panama City beach hotel rooms to find the best fit for your next getaway.